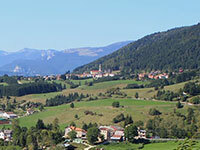 Camporovere, Kamparube, Cimbrian language is one of the 6 districts of the municipality of Roana. 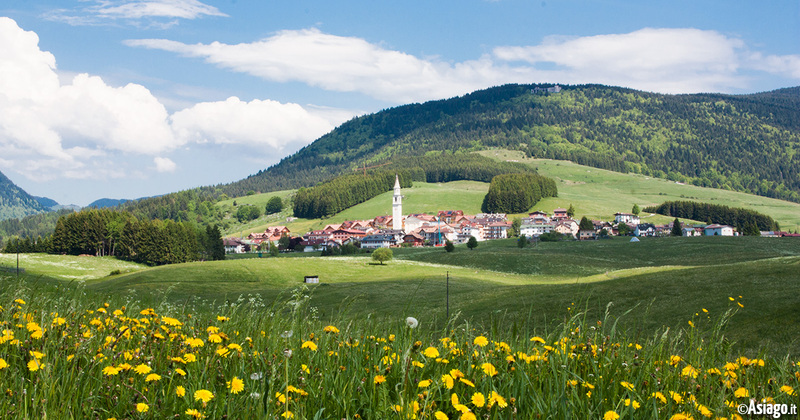 The delightful town is 1057 metres above sea level just 3 miles away from Asiago and 4 miles from Roana. 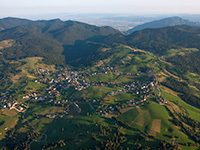 It is one of the smaller countries of the seven Municipalities Plateau, but in the territory of Camporovere there really is so much to see and do. A place full of charm and mystery is the chasm of Tanzerloch, Cimbric toponym meaning "hole of dances", because according to the legend this place witches were dancing. This is a hollow inverted funnel-shaped with a diameter of 40 metres deep well 80 metres, at the end of which opens a big "Salon" 110 meters wide. Camporovere rises above the Barracks on Mount Interrupted, a fortified defensive fortress built at the end of ' 800 and used during World War I more than anything as a vantage point. Recently renovated and partially rebuilt is well worth a visit, not least because continuing high Stopped along the trail are within the Austro-Hungarian cemeteries of Mount Mósciagh. At Camporovere you can also practice sports, thanks to the presence of a roller-skating rink, a soccer field and a Bowling Green. Children also have the opportunity to enjoy various playgrounds in the country.